So when does a journey begin? I found myself working as an Assistent for an artist in a job condition in which I haven’t been in since I was a student. But it was totally fine for me and I was happy, enjoying to meet super nice people and to look forward to what the change will eventually bring. And the job gave me the opportunity to envision the trip I desperately wanted to make this summer… What helped me a lot to set the intention, in a time where financially nothing was really possible, was an old huge school map of Eurasia, at least 60 years old, which I found with a friend on a flea market the other day. 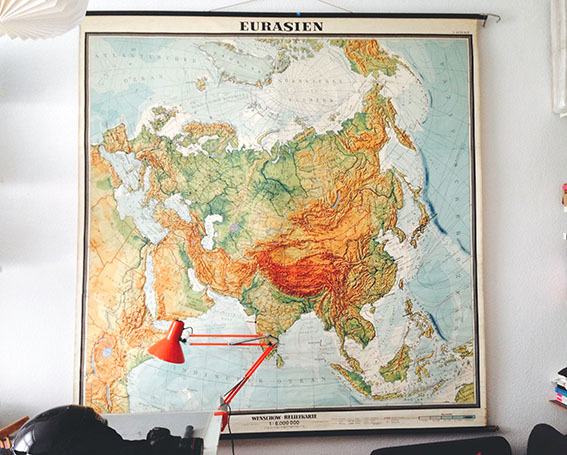 We both knew that putting this 2 by 2,50m map on my wall, it would take the everyday space it needed for me to keep the vision of my dream. I couldn’t help to see it every day, it was pretty much the first thing I saw when I opened my eyes and before I closed my eyes at night, since it was hanging across my bed. In my mind, I was already on my way. What’s been very refreshing for me in such a tight and difficult lifetime was, that I couldn’t afford self doubt. I knew I wanted to travel, bring more truths into the world by sharing my experiences and that I would just love, if this would also work as a possibility to make a living. I knew less and less about the famous ‚why not‘, and I started to turn more towards my very own ‚why yes‘! In a time when most of my family and friends recognised my situation as a moment to pick me up, I felt I was reaching for the stars and I wasn’t in the need for help- I was in the need for visionaries! Synchronicity did it’s magic and I came across a whole bunch of new people with whom I was able to share my vision and the very believe of having a vision. They again connected me with people and communities and the more I shared my plan, the more possible it seemed to become. Everyday something or someone encouraged me to hold the vision and to not fall for fear or doubt. And my good feeling didn’t betray me. Even though I was sometimes wondering how I could have ended up in this valley, I made myself comfortable by choosing good thoughts. And not to mention that it has payed off because I am doing the trip in this very moment- I have also found the love of my life at this very Assistent job! I was lucky enough to have experienced situations in my life before, when my mind didn’t like what was happening, but I practiced to let go and see what is supposed to unfold. Things are just happening without the intention of being good or bad. The mind judges whether they are or not. But the mind doesn’t know everything or can’t always see far enough to make sense out of a situation. 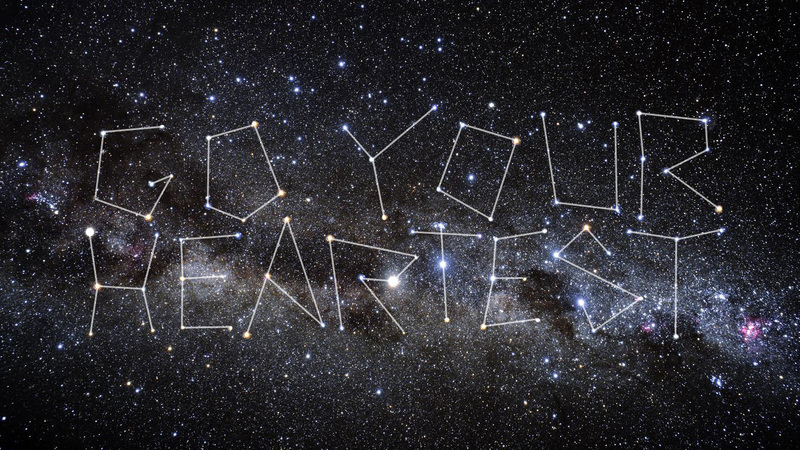 So I’ve promised myself before, to never question the universe again as it always ends up unfolding perfectly. It seems like the more strict I’m living this truth the less I’m getting in the way of what should be and the quicker I get through the situation- and the more beautiful it’s outcome becomes. I was lucky in my life many times before, but at the moment I feel I got most lucky. I started the fundraising campaign as finding a sponsor turned out to be more difficult than I thought. Also time was running… I honestly was in doubt about doing the campaign. I was afraid that nobody will believe in this and I will end up with 0, as a failure. But eventually I overcame this fear and by the time I put the campaign online, I have changed most of my fear to just being curious about if it will work and who will be with me. It decided that I believe in it and that it doesn’t hurt trying. The rest is history. About two weeks into the campaign, having a few good jobs, founding the best subtenant for my Appartement and getting the first invitations for a sleep over on my planned route, I felt enough wind in my back to make the decision to do it and to go for the big route.